Dr. Derrick-Lewis Noble will become the New York Annual Conference’s “Director of Church Development and Revitalization” on July 1, 2014. Dr. Noble is a veteran church planter and trained coach in the church development field. He has served as pastor of churches in Texas and California. 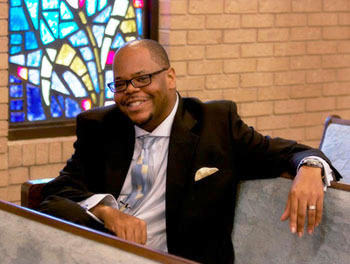 Presently he is pastor of Crenshaw UMC in Los Angeles, CA. He is a graduate of Angelo State University, Morehouse School of Religion and received a Doctor of Ministry degree from Ashland Theological Seminary. Derrick also brings already-established relationships with national church development groups. He is a board member of SBC21 (Strengthening the Black Church for the 21st Century) and also on the board of Path 1 New Church Starts, another United Methodist initiative to cultivate and develop leaders for new churches across the country. The purpose of the Director of Church Development and Revitalization is to provide visionary and passionate leadership for new church starts and church revitalization for the conference. Derrick brings with him a “30-60-90 Day Action Plan” that includes: building relationships with pastors, laity and new church planters; conferring with national leaders in church development/revitalization; scheduling training events focused around personal spiritual renewal, increased homiletical effectiveness and leadership development; working with Path 1 to find opportunities to develop new faith communities. We are fortunate to have a person of Derrick’s gifts and passion for church development work. We will formally welcome him during the New York Annual Conference on June 4-7, 2014, at Hofstra University.